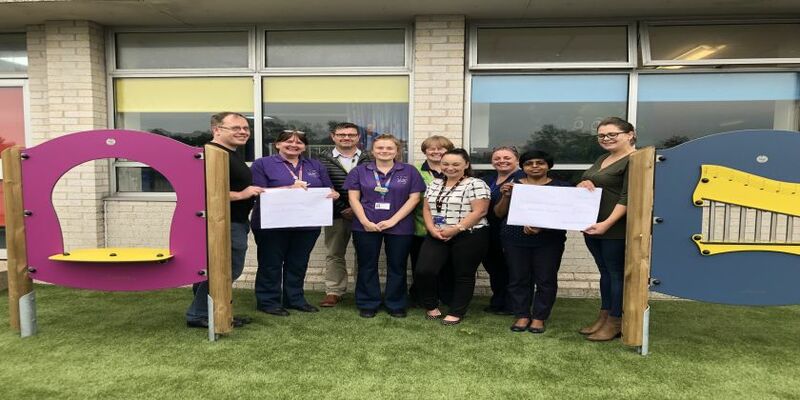 Pembrokeshire County Council’s Playday in August has helped raise money for the Puffin Children’s Unit at Withybush Hospital. The event - at Scolton Manor near Haverfordwest - featured a display of the hospital unit plus details about the Puffin Garden, a safe and secure outside play area for children and young people visiting the unit for treatment. Sandra Jones, Play Services Manager with the Hywel Dda University Health Board, said: “I would like to thank Kerry and Andre Carrasco from ‘Tiny Treasures and Tasty Treats’ and David Hall, manager at Scolton Manor Tea Rooms, for their very generous donations of £100 each which was raised through much hard work during the play day. “The money will be used to purchase portable DVD players which help to provide distraction during procedures such as blood tests. Pictured left to right is David Hall, Sandra Jones, Damian Golden, Natassja Morgan, Fiona Madan, Penny McDermott, Ingrid Levison, Dr Meneka and Kerry Carrasco.